Originally published by The General Defense Committee of Olympia Facebook page. 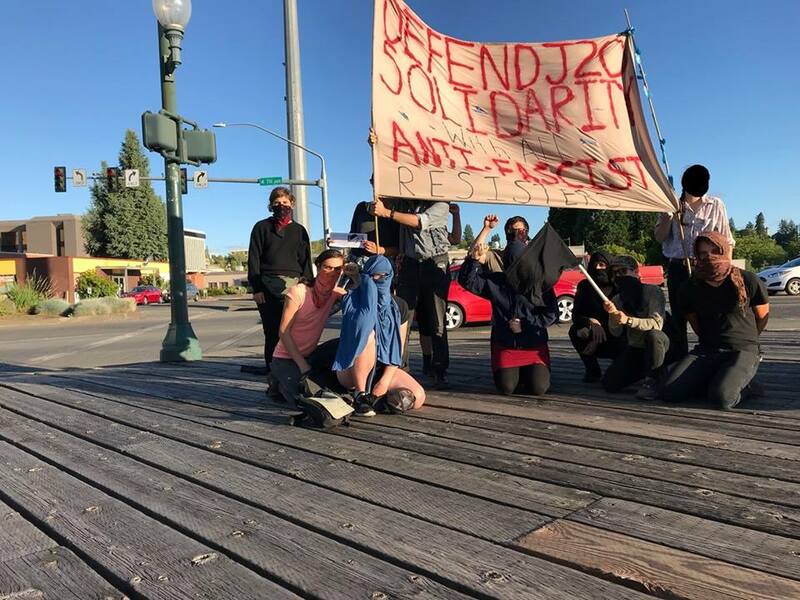 On the evening of June 25th 2018 members of IWW, GDC, and antifascist supporters held a small demo in downtown to show our support to the J20 defendants. Many of those who have been on trial are members of IWW and GDC, and their membership has been used as evidence by the prosecutors of the trial. This is clearly a tactic of the state to justify repression of political dissent. This is something the IWW is not not new to as we were brutally prosecuted in the anti-war movements of WWI and the Red scare after WWI. We are in solidarity with those who stand up to the evils of fascism and nationalism. The General Defense Committee of Olympia Local 20, June 28, 2018.